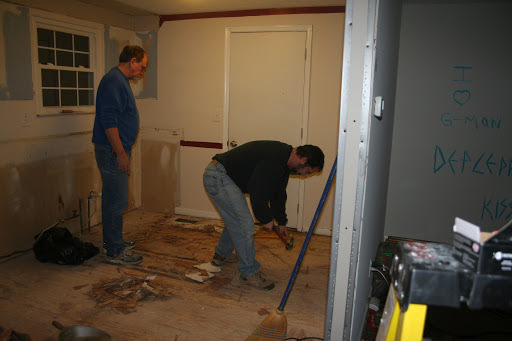 We have worked for the past 5 days, Sunday was a short day, on Demo of the kitchen. 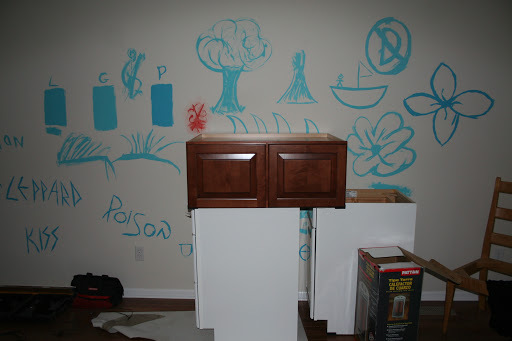 We have ripped the kitchen out, taking the bottom cabinets for the school room. We also took out the soffits. Moved some electric (moved stove plug, added a plug for the coffee bar). 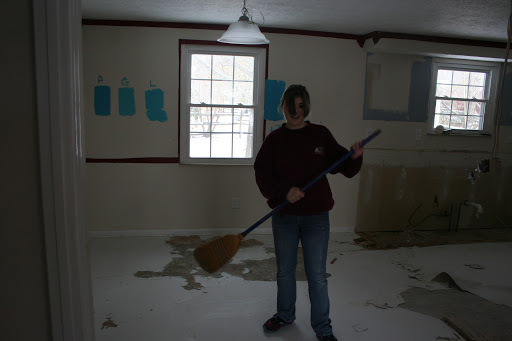 The hardest part was taking up the parquet flooring covered in the ugliest linoleum. 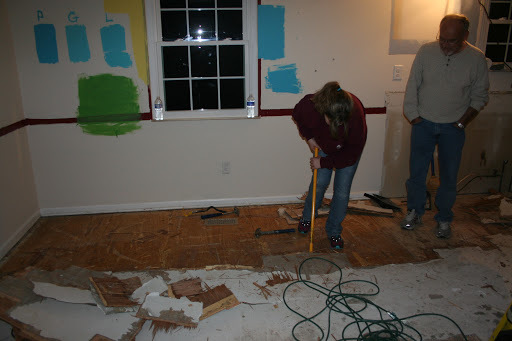 We had to rip the flooring up so that we could have a smooth transition from dining/living room in to the kitchen with no toe stubbing transition pieces. 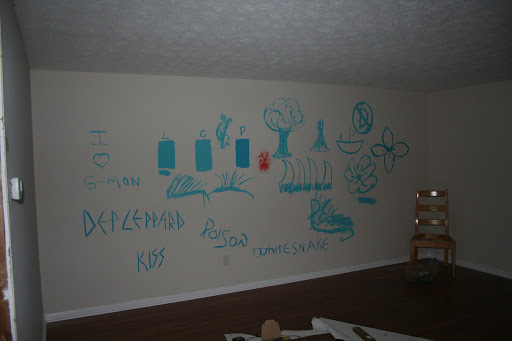 We also did some paint swatches so I could pick out the perfect shade of Turquoise for the walls. The walls had to be mudded and smoothed out. They were pretty beat up. We also had to put some drywall up were the soffits came out. Tomorrow we start the tile, oh what fun! 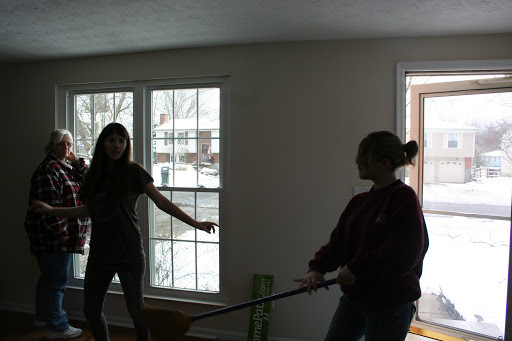 You can see the paint swatches on the wall. The green went on the school cabinets. The blue we chose will be a surprise coming up!! 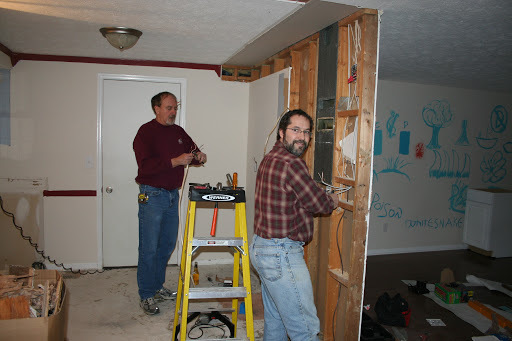 Daddy and Papal Dave doing electric. Our art work, mostly the girls. 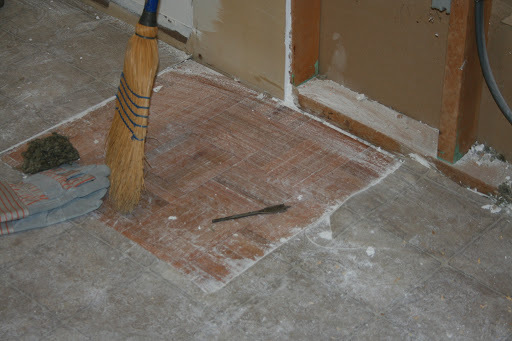 You can see the parquet that was hiding under the stove area, then covered in ugly linoleum. Working on the floor rip out. Kiki goofing after linoleum rip off. The girls hanging out, Mamal Cathi watching.